It appears that I am becoming a person of extremes. First, I starve you by not posting anything new for awhile, and now I bombard you with a very long and involved post! The good news for me is that you all never stop reading and checking out your blog! This November will mark the 4th year that I’ve been reminiscing with you. Although I have no excuse for not posting anything new lately, I have been collecting lots of emails from all of our Duquesne and surrounding area friends. Previously, I posted these emails under a title of “Voices from Duquesne.” However, seeing that the blog is being found by our neighboring friends as well, I’ll need to come up with a new tag line. In the meantime, please feel free to email me at anytime at duquesnehunky@gmail.com. We ALL would love to hear from you. Now, in the meantime, enjoy hearing from some old friends….. 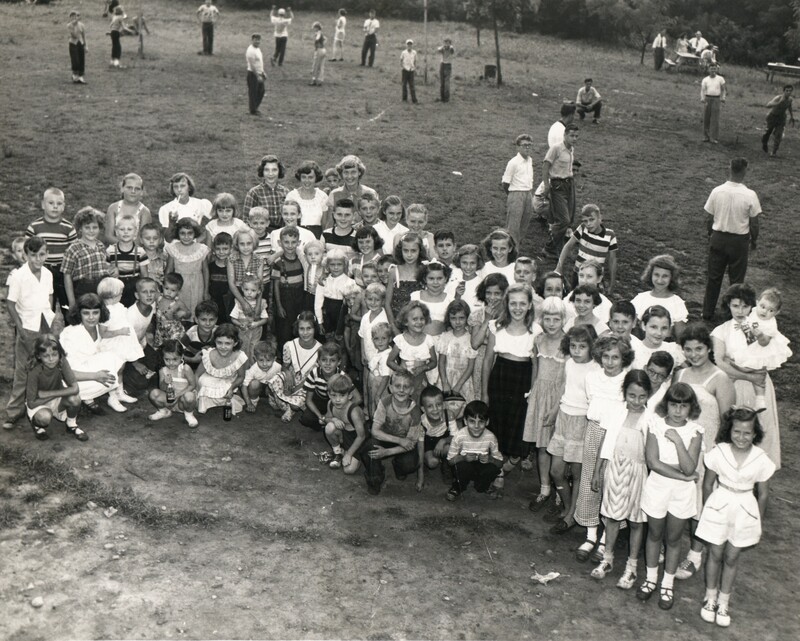 Attached are a couple more pictures Frank sent me pertaining to events of the Duquesne Slovak Club. I’m sure everybody will have fun identifing those in the pictures. I remember the club picnics at Locust Grove. It was across the bridge at Boston, PA. You made a left after crossing the bridge, traveled about a mile, made another left, towards the Yough River and crossed the railroad tracks. The grove was situated between the river and the tracks. Don’t know what is on that site today. 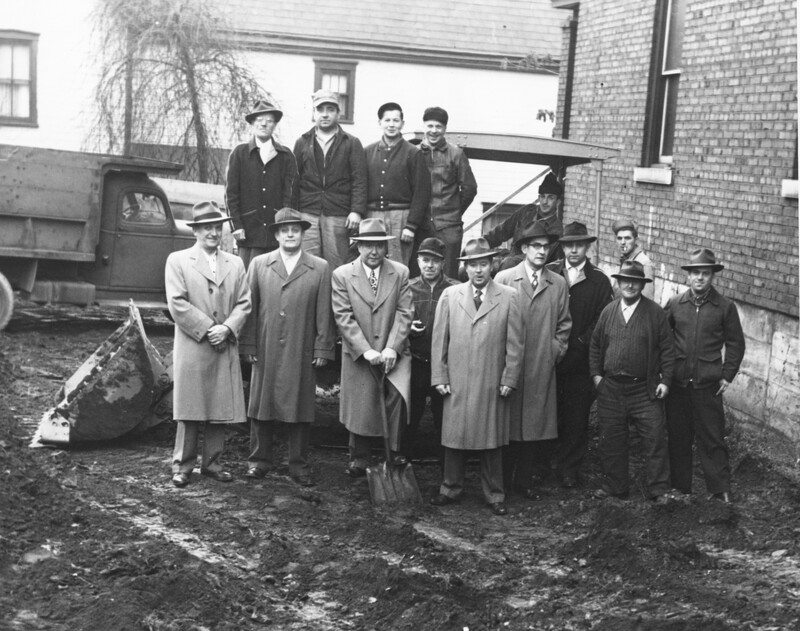 Just a guess, but I think the groundbreaking was for the hall at the Slovak Club. 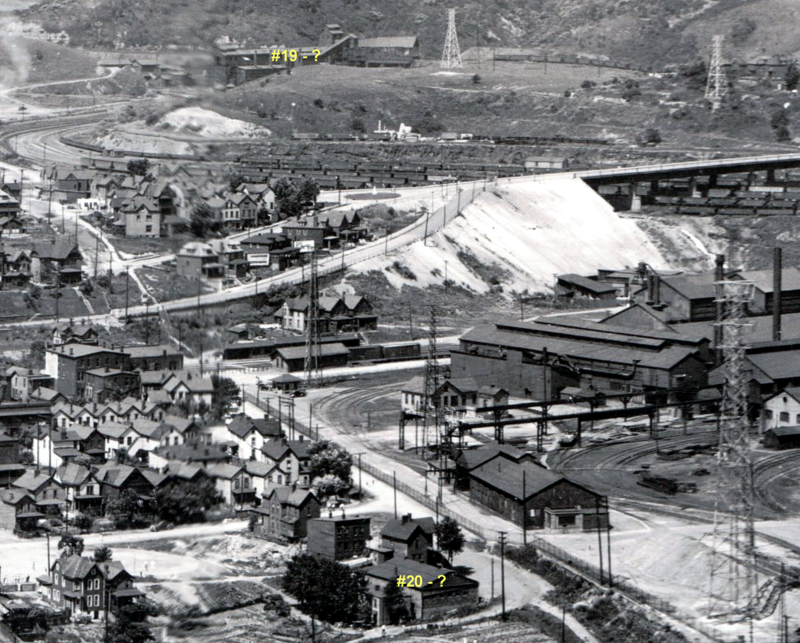 It was an addition to the original (club) part which was a two story building (seen on the far right of the picture). Many wedding receptions were held there, including ours. The food prepared by Mrs. Anne Squires and staff was excellent. Last evening while doing some genealogy searching on the web related to Duquesne I came across your Blog, “Duquesne Hunky”, it was hard to stop reading, Reading some of the posts brought back memories of the years I spent there, 1927 (born) to after graduation from Duquesne High in 1945, I even came across some familiar school day names. Most of the names of contributors that appear are of later generations, 10 to 20 years. Some of these contributors have names where they could be children and grandchildren of someone I knew in my time in Duquesne. My question is how do I, or what do I do to, post my personal information? I tried the link and was unable to do anything there. Here is my personal data. 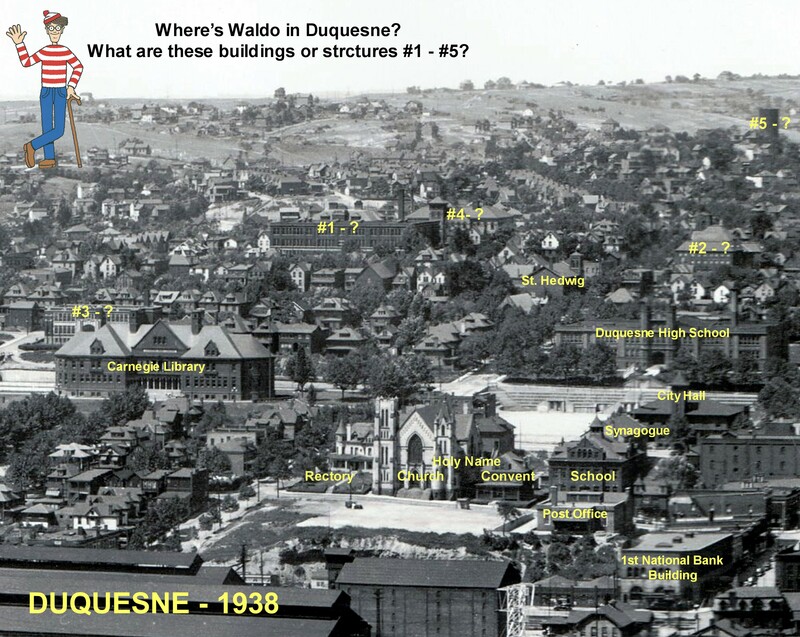 Lived in Duquesne from birth (1927) to after graduation from Duquesne High in 1945. Re: your debate with XXXXXXXX (I did not count the X’s used) in regards to the term “Hunky”. In my youth we did not care, or even attempt to know what country a person was from, we just applied the name to those mainly based on their physical appearance, i.e., short in stature, chunky build, and names, consisting mainly of consonants, that we could not pronounce. So, that name has been around longer than either you, or, XXXXXXX probably considered. When I was born my parents were living in an apartment on the west side of 1st Street approximately across from where the Ziegler Lumber store was located. From there we moved to Wilmot Street where we lived on the second floor above a grocery store a couple hundred feet off of Kennedy Avenue. From there we moved up the hill a block to Friendships Street where we lived in half of a duplex pretty far down the street. Next we moved further up the hill to Peter Street where we lived in the last house on the left, going towards the water tank; this house was owned by an aunt of my mothers. From there we moved diagonally across the street to a large home at the end of Peter Street, I’ve heard it has since been razed. I had one more move while I lived in Duquesne, which was when the steel company decided to sell their homes on Crawford Avenue. My parents were one of the lucky buyers, and we moved there, the final move for me. While I was away at college my parents bought a home in the Duquesne Annex section to which I have been back periodically; my brother now lives there. If, you think there would be interest in articles from the year books, mostly related to sports, like the basketball team winning the WPIAL and State title in 1944, I can e-mail them to you. I have my own sad personal story related to the title game. A train was setup to take the team and fans to Philly for the State title game; I had my ticket, a couple of days before we were to take off, I ended up in the hospital, McKeesport, with appendicitis and missed the trip, I was in the hospital for 2 weeks and recuperated at home for another two; they really took care of you in those days. 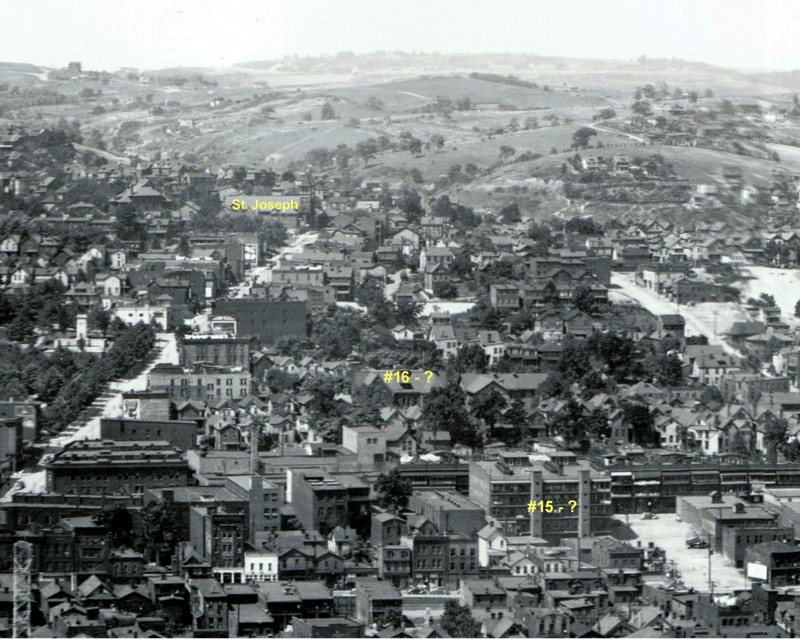 Having been born at the Krotos’ home on Kennedy Ave (where the Krotos’ had their trailer park) and raised at 815 Mifflin Street, my heart remains in Duquesne. I am preparing a 100 plus art works “TRIBUTE” in homage to History’s greatest contributors. The Star Signature piece is the latest. 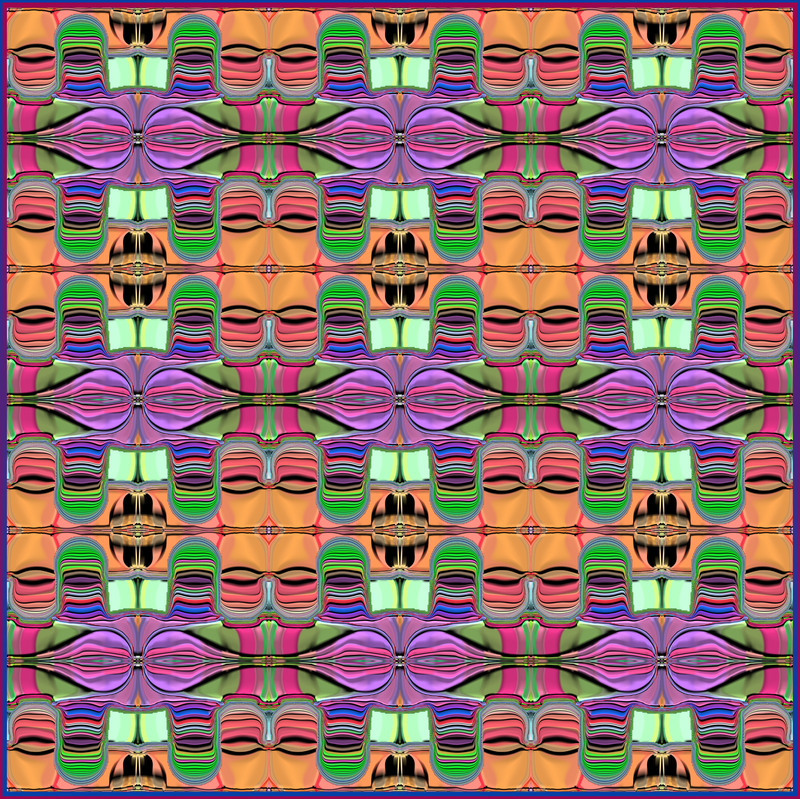 The collection “TRIBUTE” will have its own I-MUSEMUM on the web designed by LA graphic artist Paul Manchester. It will be a year or so before all the art is accomplished and the site is up and running. It seems as though divine providence, he created “Star Signature” in the wee hours of this morning. May viewing it, give you: faith (in all your endeavors), creative expression, pleasure, and continued youth and allow all your dreams to be savored while flourishing…and most importantly, laugh a lot. P.S. 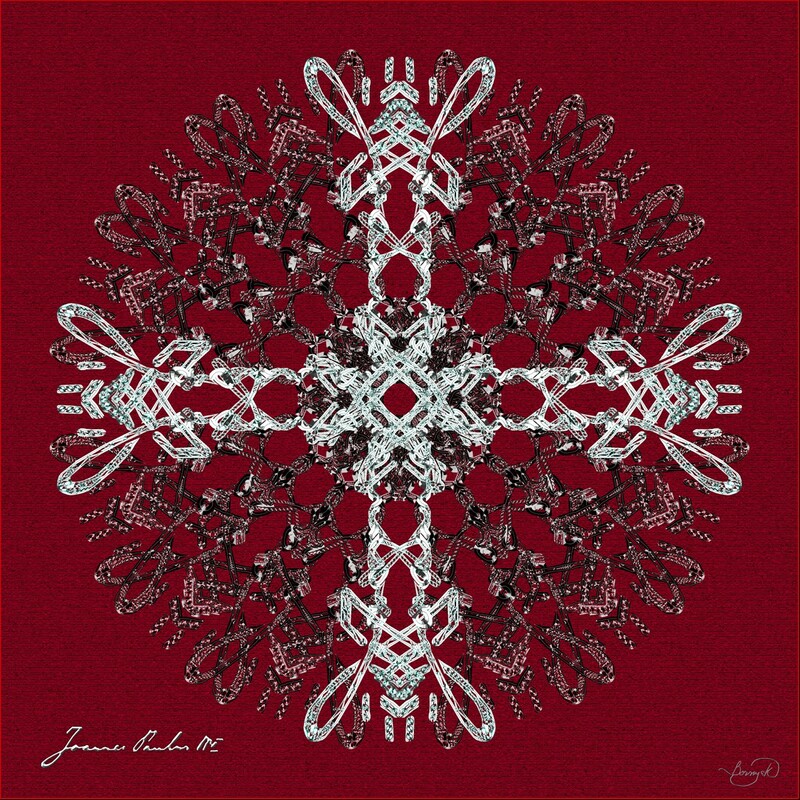 Jim, if you wish to present the “Star Signature” of Saint John Paul II on the Duquesne Hunky, do so with its message and my compliments and gratitude for having been raised in such a wonderful place. I don’t know how I ran across this older article in your blog today, but thanks for the memories. My grandparents (Dad’s parents) lived behind the Village shopping center on Campbell Circle. When I was a kid in the 70’s, my sister and I would stay with them (we lived in Trafford) on separate weeks each year, as vacation (Kennywood, bus to Pittsburgh for shopping/movie, etc.). My grandmother and I would walk up (across the slag) for daily groceries, perhaps get a treat at the Isley’s or Woolworths. Remember many of the stored mentions. There was a bakery in the Village at that time also. Back then behind the Village, there was a small community playground/ball field …in the summer, they would show outdoor movies on a portable screen of some kind. I was skimming around the web reading about the history of the term hunky and I found your website. I am only half-hunky – on my mother’s side. Her family is from Youngstown, OH. Slovak. Every summer we would spend about a month in Youngstown when I was a kid, and I have to say they were the happiest times of my childhood, and very different from my usual southern protestant wasp existence. Not to downplay my scottish heritage, which I am also proud of. But it was just very unique. No one from my town ever heard of a pierogi. I realize through reading where the term hunky came from that it was not originally a complimentary term. This came as a bit of a surprise for me, because to me the word means such warm and positive things. It means family, down to earth hardworking loving people, pierogis, hulushki, kolachi, polka dancing, choking a bit on the incense during Sunday service at my grandparent’s church. To me the word hunky symbolizes some of the most beautiful people and experiences in my life. And I believe it means the same thing to all the hunkies I am related to. Amor a Dios and Pax et Bonum! Hope you’re having a great summer. We wait so long to get through the winter. My wife, Lynne, and I are enjoying a great summer AND retirement. We get to walk our dog any time we want. We do a lot of yardwork and gardening, but today is another hot one. It may even hit 90 degrees, which is kinda rare for New Hampshire. Yes, we still watch ALL the Penguin games and all the Steeler games. Thank God for DirecTV and HDTV. We occasionally hear news about some teams called the Patriots and the Bruins, but we try to ignore that, since it’s just “background noise”. Trouble is, they keep winning championships every-so-often. It’s unbelievable how much your efforts in the Duquesne Hunky have pulled the community together! You deserve the Zagreb Peace Prize! Even though recent visits to Duquesne confirm that the town has “crumbled down” a little bit, the real essence of a community is the memories & the fond feelings that we Hunkies hold for each other. You are to be commended for how you have provided the catalyst for our “Community in the Cloud”. Check the upper right corner of the home page… does it say “Pennyslvania”? (Was I the first to spot this??) Thanks. You ARE the first to spot the error! No offense taken my friend! It’s all good!! First Presbyterian Church of Duquesne, later sold to be a Union Hall when the Presbyterians built a new church in Duquesne Place. I was a member of this church. 8 or 9. One of these was St. Peter & Paul’s Church. I think it was Greek Catholic. 15. Apartment building where I lived with my parents on N. First Street in the late 40s and early 50s – the first floor held a confectionary store, a furniture store and the State Liquor Store and there were 3 floors of apartments. We kids used to play in the empty lot shown to the right of the building. The building was called the Nick Williams building for the man who owned it. Nick was a beer distributor in Duquesne. This might be Oliver School which was on Second Street at about that location. It was a public school for 1-6 grades. My grandparents (Dad’s parents) lived behind the Village shopping center on Campbell Circle. When a kid in the 70’s, my sister and I would stay with them (we lived in Trafford) on separate weeks each year, as vacation (Kennywood, bus to Pittsburgh for shopping/movie, etc.). My grandmother and I would walk up (across the slag) for daily groceries, perhaps get a treat at the Isley’s or Woolworths. Remember many of the stored mentions. There was a bakery in the Village at that time also. Just wanted to let you know that I was happy to find your “Hunky” posts, and have enjoyed reading them. Well written, and gave me many memories. We are about the same age, and have the same memories. How about the shop that was at the end of the Duquesne/Mckeesport bridge that is gone now. It had hunting equipment, and I remember going there with my dad when I was a kid…probably in the 60’s. It’s sad what McKeesport has turned into. Remember old “overcoats”? My name is Dennis Kerrigan. 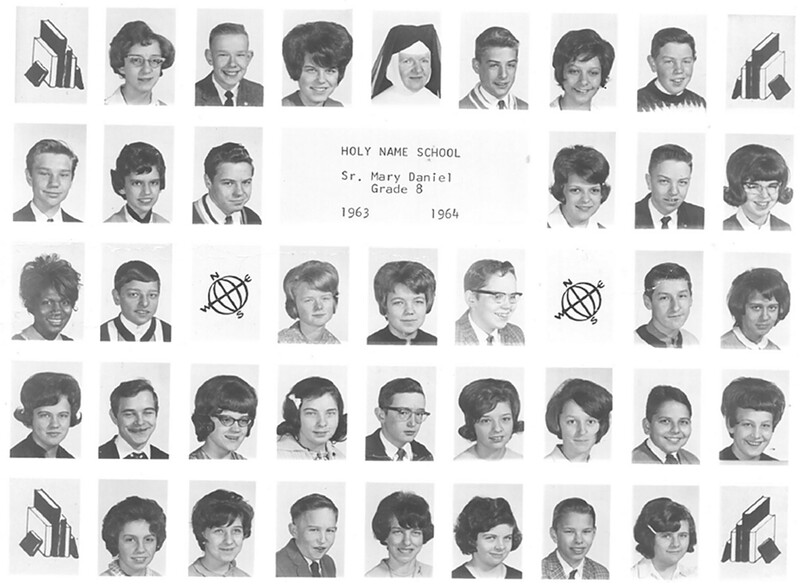 I graduated from Holy Name in 1964 and Serra Catholic in 1968. I have been enjoying your blog for several months now and want to thank you and your contributors for many memories as well as many things I was not aware of. I live in Western Ohio now and rarely get back to Western Pa. so it is a pleasant link to our past. My wife and I were going through some old boxes that we hadn’t opened over a few household moves and I discovered some papers from Holy Name including our 8th grade photo and “yearbook”. I am including the photo and the names in case you might be interested. Please keep it up…..you have created something valuable. I found your web site while looking for a way to use the leftover whey and butter that comes from making the cirak. It seems it would be such a waste to just throw it out. I remember that my mother used to make a Paska bread with it but every time I try to make this bread it fails. Do you know of any one that has put the leftovers from the Cirak to good use. I would appreciate any recipes you might come up with. I make three balls of cirak and there is about three to four quarts of liquid and about 2 inches of butter that sits on the top of the liquid. I really appreciate your stories of your past Easters and I so can relate to them. I am originally from Greensburg PA my husband from Coraopolis PA and for the past 48 years my husband and our family reside in Dayton Ohio. We are so familiar with Duquesne, PA. I hope someone on your blogs or you may have an answer to my question. Sure do appreciate all the work and effort for this great website. Have told many ex-residents since it was made aware to me. I am 61, so a little younger than you. Was born in the Beuten homestead on S. Fifth St, relatives of the Fontanasi family. The house was across from the Union Grill. ( Makes me yearn for a fish sandwich) even now. I can still remember that distinctive aroma. lol My parents moved around 60′ and I went through the entire Norwin school system, but I always came back to Duquesne because of work and my cousins that lived on High Street. I might have a great project for the group. Being an advid metal detector enthusiast, at least, I used to be when I had more time. I was searching in the Norwin area at an old church and came across a Duquesne High class ring from 1958. It is a ladies ring. I tried to locate the owner by contacting the high school about 15 years ago…………they basically didn’t want to be bothered. Said…………….sent the ring in. I would love to reunited the owner with this beautiful ring. If you contact me, I will give you the initials which are visible. Once again, keep up the great work. Hi James, enjoy reading your posts on Duquesne Hunky. WE have a reunion coming up in September for the Class of 1964, and trying to drum up interest using social media. There’s some discussion about the picture attached, do you know the name of school attached? There’s been several names thrown out, but I’m thinking it’s Libengood? My husband and I have been living for the past 35 years in California, but I go back to Pittsburgh on occasion to visit family. Thanks for all your posts, especially on Easter traditions which are near and dear to my heart. Just wanted to let you know that I happened upon your blog just recently and am enjoying it tremendously. I want to thank you so much for the memories. I grew up on Chestnut St., attended Crawford School and graduated DHS in “61. Many of my classmates seem to be readers of your blog also. Our parish was Holy Name and I received my First Holy Communion there and was confirmed there. I remember many of the Sister’s from catechism, one in particular who insisted on calling me Annette since she thought my name could not be Nettie. ( I think it was Sister Virginia). My cousins all attended Holy Name. My Flanigan Grandmother lived on Fifth St. and my Slovak Baba & Zedo (Washko) lived on Oak St. next to the Pucci’s. I believe that my Uncle Jim and family lived very near you ….on Ohio Ave. My cousin Jimmy went to Pitt and went on to play football in the NFL, his son Jim played for Notre Dame and went on to play for the Bears. My house on Chestnut is gone….my Grandmother’s is gone….my Slovak Grandparents has been torn down…of course Crawford School and Holy Name School……the library. Not too much really to go back and see. I feel a bit of pain thinking about it, but you have provided some wonderful memories and the photos are truly appreciated. Thanks for writing the blog! I must say that I’m proud to be a Duquesne Irish Hunky! Was almost brought to tears at the picture of Holy Name School. Stared at the computer screen for what seemed like an eternity. I entered there in January 1957, just in time for the 2nd semester of 2nd grade.Started studying for 1st Holy Communion scheduled for that May. Here is my recollection of the rooms. 1. 1st grade: 1st floor left front, wasn’t there until 2nd grade. 2. 2nd grade: 1st floor right front, don’t remember the nun. (paddled me because Susan Terza squealed on me for launching chalk with a ruler through the window)! 4. 8th grade: 1st floor right rear, Sr. Mary Daniel (Principal). Got paddled again, don’t remember why (probably Steve’s fault). We had a Christina Petrozza who was one of the cutie pies in the class. Keep up the blog. I could spend hours reading it and reminiscing. I was saddened to hear about your “kick in the gut”. I hope things are settling down and you have a better grip on things. You don’t get to be our ages and not have felt that feeling. My husband and I have felt it when 3 of his jobs went by the wayside due to plant closings, fire and the oil embargo in the 70’s. I am now 6 years cancer free after breast cancer w lymph node involvement. Two of our three daughters are currently going through very rough divorces with one having her house burn down 7 months after moving in. It was ruled arson and we weren’t surprised – you can only imagine who we suspect but don’t have any evidence. Maybe I’m crazy or just too optimistic, but can we make a difference for Duquesne and the Mon Valley for the future? Something in me sparked when I read Diane Fedor’s comments on your blog. Especially the last sentence in her last two paragraphs….it would take an army but it could be doable….and…..Yeah, Yeah, Yeah….SAVE IT. You would know better than I if there is a plan for the Mon Valley, or Duquesne, but I would like to compose a letter, with your help, to someone who could possibly make a difference. His name is Jay Williams. You can look at his bio on Google but his current job hasn’t been listed as yet. His full name is Roy Jawa (Jay) Williams. He was appointed by President Obama June 11, 2012 as Deputy Director of Intergovernmental Affairs. In this position, he LEADS LOCAL ENGAGEMENT WITH MAYORS, COUNTY AND MUNICIPAL OFFICIALS ACROSS THE COUNTRY. I thought we could write him to get his thoughts and insights into what can be done for Duquesne and the whole Mon Valley. Who knows, maybe there’s something already in the works. Prior to this job, he was the executive director of the Office of Recovery for the Auto Community and Workers, also appointed by President Obama, who nicknamed his appointment as the “Auto Czar”. He worked with state and local stakeholders in areas affected by the changing American automotive industry to ensure they receive the federal support necessary to help them create a more stable, prosperous economy. He was in that position from August 8, 2011 to June 11, 2012. Prior to that, Jay served as the first black Mayor of Youngstown, Ohio from 2006 to 2011 where he led a number of efforts to improve the economy and quality of life for the citizens of Youngstown and surrounding communities. Just last night on the news, it was announced that construction will begin immediately on an $81,000,000.00 facility creating 80 jobs at start-up. You can see the current mayor, John McNally, make the announcement by going onto WFMJ.com and see the video. Vallourec is the name of the company building the facility. You can see the press releases by going onto “Vallourec’s announcement for Youngstown” on Google. The press releases date back to 2010 and shows Youngstown and President Obama’s involvement. Vallourec is headquartered in Paris, France. The building will be a new state of the art seamless pipe mill in Youngstown to meet the growing demand for small diameter tubes resulting from the boom in horizontal drilling….I know, I know….more controversy. There will be significant room for expansion and will create $250-300,000.00 in tax revenue. How my father would have loved to hear this news – he was a roll turner at USS in Homestead. Another coincidence – before Vallourec bought out the old company in 2011, it was called North Star Steel – where my husband worked as a pipe inspecting supervisor before retiring, with a subcontractor by the name of Tuboscope Vetco. There’s a bit of information that needs to be confirmed and I can let you know about that next week. That is that Jay may also be named as Head of the Economic Development Administration. They were to make an appointment in January 2014 but I can’t seem to get it confirmed. I’m waiting for a call back from The Whitehouse …..seriously. I’m going to be sending you via e-mail, something circling the internet entitled “23 Reasons To Move To Youngstown, OH” which will show some of the similarities between Duquesne and Youngstown. Another connection or similarity is that Youngstown is in Mahoning County…which was also known as….Mafia County. I hunked in #5 Bar Mill in Duquesne from 1973 until it closed in 1984. I went thru the Bar Mill gate which was to the left of the Grant Ave. gate. The parking lot from Grant Ave on down had spaces for Daylight and Night turn shifts. Three to Eleven shift was a different story. Since I worked in the rolling mill, I had the keys to my “buddy’s” car. He was the guy I relieved. I would pull his car out at 2pm, and park it beside the railroad tracks ( after parking my car in his spot). The city cops would not tag a car that was there after about 1:30. Most guys did not use the lot where your Dad’s service station used to stand because it cost 50cents for the shift. Plus, for us in the Bar Mills, that was a pretty long hike. The long walk going in was no problem, but when you walked back to Honey’s or Komezac’s, you couldn’t find a seat. It was better to drive. I do remember one Friday night I had to park my 1976 Dodge Coronet in the lot and it was pretty full. I parked right across from Holy Name. We had pouring rain and it was 29 degrees. I got out at 11 but it took me until midnight to clean the windows. I also had to put my foot on the car to push off just to get the door open. Your article dusted off that long forgotten memory. Thank you. 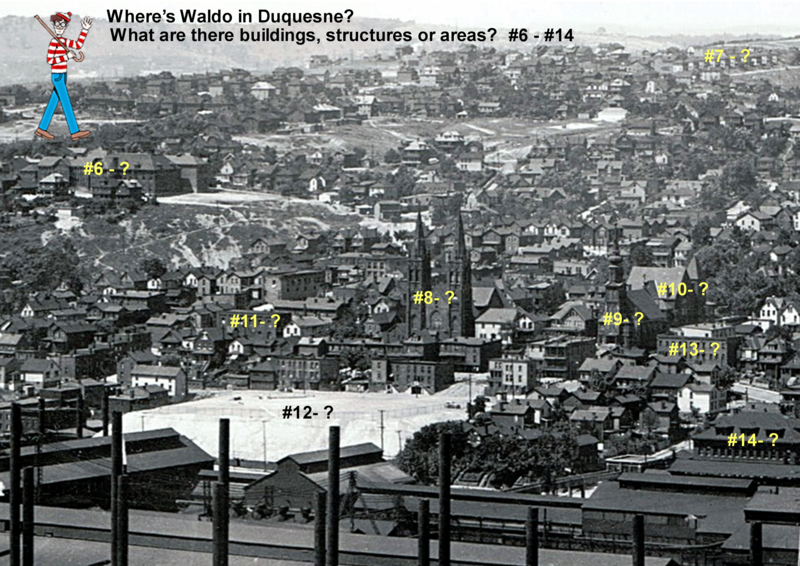 I lived in Duquesne when I was 4 to 7 years old. My mother was a Trainor and we moved into my Gram’s house on 5th street after my grandfather died. He was the fire chief in Duquesne for many years, and state commander of the American Legion. In high school, I began working at Salerno’s Pizza on Priscilla for my “other brother” Ralph DeRose. I worked there until I went into the mill, and felt almost a Duquesne resident. Your blog brings back many happy memories. I really thank you for that. Do not argue with idiots. They drag you down to their level and beat you with experience. My name is Karl Csiszar, I came across your article while doing a search for the White Elephant in White Oak. I used to live upstairs with my parents and we helped run the place and were the landlords for the tenants who lived there too. Anyway, I digress, my Mom was from Duquesne, she grew up on Third St. I believe and her last name was Fendrick. Did you know any Fendricks? There were quite a few, my Mom had 10 brothers and sisters, and they had lots of offspring. I believe if I recall correctly, my Uncle was Chief of Police in the 60’s and early 70’s. His name was Andrew Fendrick. I was feeling a little nostalgic this morning, that is why I am sending you this email. Thanks for reminding me of the good ol days, White Elephant, Rainbow Gardens, Mystic Ranch, Kennywood, and of course Blooms Cut Rate! Been there many of times and yes, it was a “numbers joint” too. Thank you!!! I love your stories and your memories. I am the baby of a Russian mom and Croatian father, lots of wonderful memories growing up in Liberty Borough with similar love. I have to ask, I see the mention of Helen Volk, is she a relative? I worked for Dr Alvin Bodek the last 15 -18 years of his practice and I knew a Helen Volk and her sister Peg. They were both very special and dear to me from my time working for the doctor. His office was in West Mifflin but we had a lot of Duquesne patients and the love that I see in your blog is what I experienced over and over while working for the good doctor. If you have a moment to respond I would greatly appreciate it. Take care and thank you for sharing your memories so eloquently ! On helping my son research a story he’s writing for a course at Pitt, we became interested in the Prince Humbert Club in Duquesne, and have been trying to identify Prince Humbert. Google turns up 2 successive kings of Italy, pre-and post WWII, Umberto I, who was in league with the Axis powers, and Umberto II, who was the last king of Italy, apparently for only 33 days, when the country transitioned to a republic after the war. The nationality and the time are right for immigrants settling in Duquesne, but which Humbert? And why was he so popular that a club is named in his honor? Just discovered your unique site when I was googling around trying to find info on the Crawford mansion, having puzzled over the ancient wall along Center Street, passing it every day going to work. Finding the wealth of information in the Hunky was like scratching a bad itch! To think that the widow Crawford had so little imagination that she would rather tear down that fabulous place than somehow save it for future generations. (With her fortune, maybe preserve it as a museum? Or a restaurant? Or a bed and breakfast? No- Tear it down!) Anyhow, thanks for a great site, and another thanks if you can shed any light on Prince Albert. West Mifflin, a few blocks from the Prince Humbert Club. How are you? …And congratulations on your wonderful website. The immediate reason for writing: I went on the net and there were several sites highlighting my name and one was the Duquesne Hunky. why should that happen other than ATT, my carrier, is trying to kiss A–. But it was nice having your website appear again out of nowhere. I lived my Duquesne years at 815 Mifflin Street. And it wasn’t till yesterday that Wikipedia informed me about Mr. Mifflin, in PA history. Nothing of Duquesne’s history was ever mentioned in school. We never took field trips to the Mill or the river. The only thing that I knew about the Monongahela River was that it passed under the Duquesne/ McKeesport Bridge. I might as well mention this as it just crossed my mind, sorry to do so, but telling it may release some of the pain. In ninth grade the male teacher had me move from the front to the class to the back, behind all the other students. He raised the thick geography book up high and slammed it as hard as he could on my head. Now I cannot get that horrid incident out of my mind. What sadistic A. hole. Mary Frances Reed was one of my dance partners at the McWilliams school of Dance. After leaving Duquesne, learned that her father was hauled off to prison in handcuffs for white collar crimes. Her mom Margarete, believed she died a year later. I often wonder about Mary Frances, her brother Robert, a graduate of Annapolis, and a few others. I have a great need to contact some of these people, but how? A few key word in my 75 years are: St Stephen’s in McKeesport, Duquesne High School and Ms. Cora Wright, my art instructor, years of ballet training in Pgh, Pgh Play House, The Ice Capades, Hollywood, Vegas, University of Nevada at Los Vegas, Japan, Korea (when I was there entertaining the troops, there was a soldier in the audience from Duquesne), Okinawa, The USNS Coastal Century, Quadulene, Australia, The Philippines, The University of Guam, The U of So Ill at Normal,Ill, San Diego, The Hyatt and now working on “History’s Greatest Marks”, “Star Signatures” part of the “Star Signature Masterpiece Series””. If there is an interest and we communicate, I’ll explain a few reference above. About Duquesne Hunky… although it wets one appetite for nostalgia, you might want to consider opening the door to, encouraging and presenting the artistic side of some of your 500 plus followers. Poetry, the fine and not so fine arts, Folk art, Stories…. (Gracie’s face just appeared at the window and wants in, out of the Arctic blast for a warm comfortable sleep next to my head till morning’s light offers waves of exuberance for romping in SUNGRALA’s Garden.) Exhibitions for people’s needlework, clothes design and fabrication, music, etc. There are loads of hidden talent in those two square miles on the hill called Duquesne. Perhaps the Duquesne Hunky will evolve to do for Duquesne what no other has done ! Before we go any further, tell me about you, your family, your communication, work, talents, drives, beliefs and aspirations. And then we will begin to create. Hi! Are you related to the volks who did car repairs? I think his name was Steve Volk. 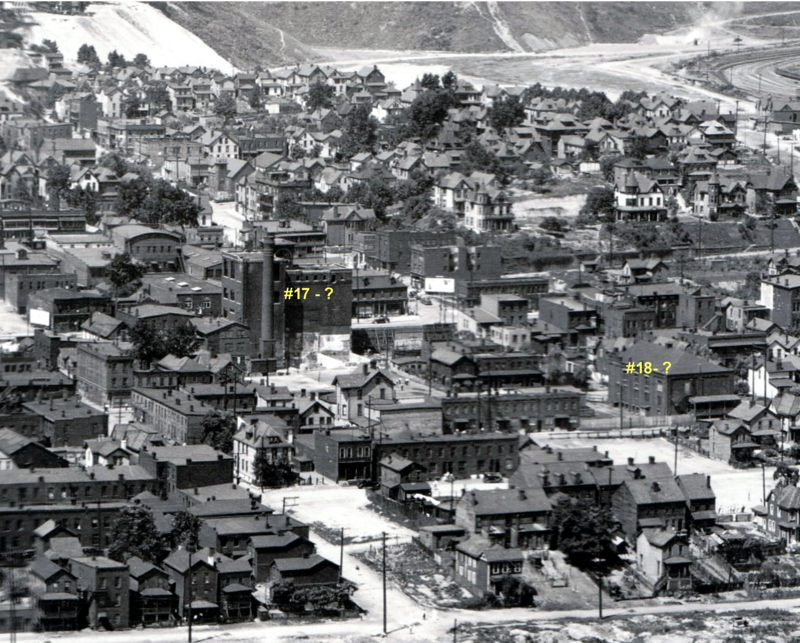 My husband, Jim Vekosky’s family were located in Duquesne til they moved to West Mifflin in 1947. His Aunt Jay was part owner of Woody’s Drug Store. There were 2 ladies named Jay at the store. His aunt was called Big Jay. Ronnie Mackosko bought the drug store from Ernest, a.k.a. Woodie Woodward. Little Jay was Ronnie’s aunt. This is Jim Volk, and I am so excited that you landed in my blog!! 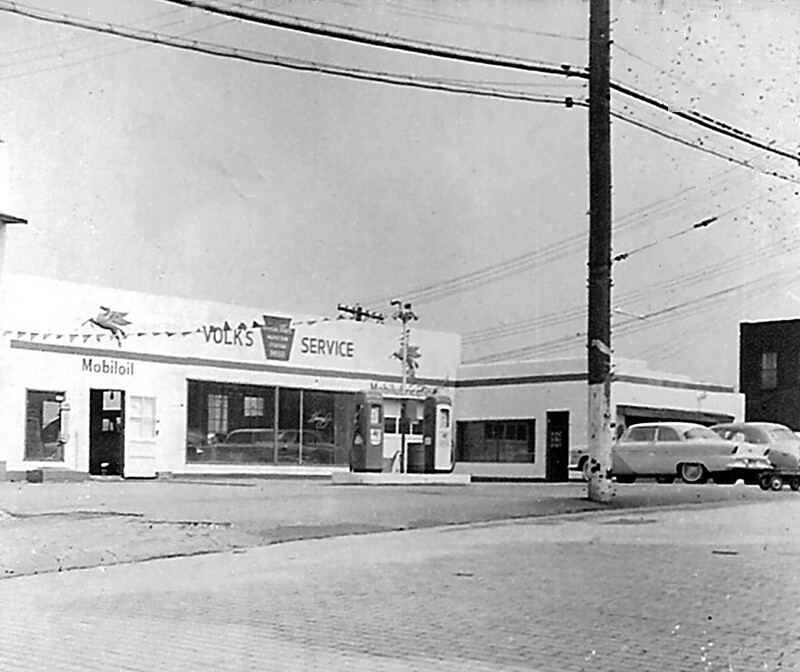 Steve Volk was my Dad and owned Volk’s Sales and Service on South 1stStreet. I remember Jimmy Vekosky very well, although I can’t remember if he worked with my dad at the shop or was a very close family friend. Terry, are you married to Jimmy Vekosky’s son? I believe I know him as well. My dad, Steve Volk, had two sons: me (Jim) and my older brother Steve. I would love to be able to see the photos that you mentioned and if possible, share them with all of the readers of my blog. Since I began this blog in November of 2010, there have been almost 315,000 views of the posts. That means that a WHOLE lot of old friends and good people have reconnected as a result. I have published 250 separate stories so far, so Ihope you and your husband have an opportunity to read through some of them. In the meantime, give my best to your hubby and let me know if you or he have any additional questions! I look forward to hearing from you and will keep my fingers crossed that you locate the photos you spoke of. Below is a photo of my dad’s garage. I’m sure that your husband will remember it well. It was nice to see the photo of your dad’s garage. My husband, who is in his late 70’s, was both a friend and also worked for your dad. He remembers both you and your brother. I am going to ask him if he has any stories for you. Right now we are in the middle of taking care of his health. We have many doctors appointment to go to so don’t fret but it may take time to get to it all. There are boxes in the cellar that i can not get to. The cellar is full of stuff. My father in law, mickey vekosky took movies of the family but they are not of the city. Just personal family stuff. He used to go to kennywood and photograph the current stars that were appearing there. My husband was about 10 or 11 in the pictures. As i said before it may take time. Do you and your brother live in the area? 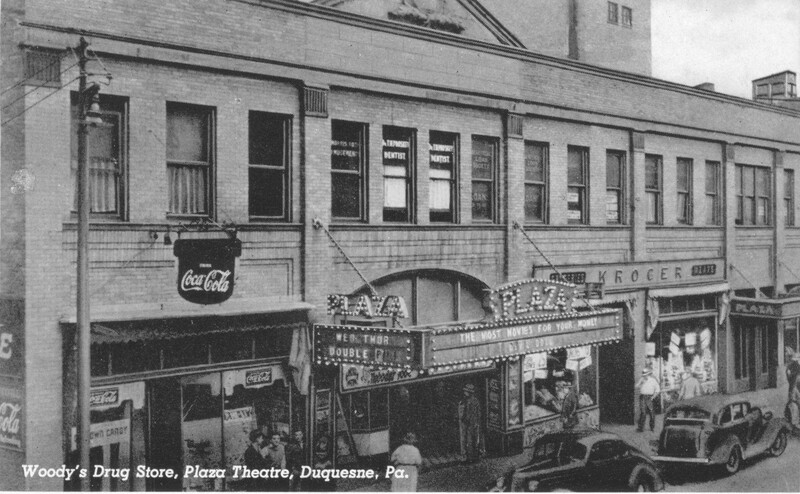 Duquesne was a great town. I was originally from Clairton, another great town. It is too bad they both fell on hard times. Both towns were so alive with activity. Have you ever bought the books they sell in Barnes and Noble? The one is called Mifflin Township and has a lot of history. Somewhere in this house I have a copy. My mother in law was 98 when she died. Her family name was Minnick. When I read some of the book to her she remembered Nick Lee Hollow. It was located below Holy Name Church near where the railroad tracks are in Duquesne. My husband also remembers your mother. I think she died young. If he tells me any stories I will relay them to you. If you have any questions do not hesitate to contact me. I am a history person and I have researched my own family back to the 1700’s. I spent many, many hours at the family history library in Greentree and in little Washington. It is fascinating work. I have copies of so many documents of their life in the old country and here. I have a photo copy of my grandparent’s marriage license from 1867. There is so much info available now on line. When I started I had to comb through old microfilm reel by reel. So remember please contact me if you have any questions. Hi Jim: Just finished reading your latest. Saw a note from a Larry Furlong. Wondering if he is related to Bob Furlong and also would like to know if he is related to Judy Trainor? I went to school with both of them and will probably see Bob in Oct. for our 55th reunion. Bob lives in Costra Rica and I’m in Ca. near the Rose Bowl. I will always remember how well the Trainor household ran with 8 or 9 kids in a relatively small house. See,you have brought back more memories. George Bornyek mention that he would like to know what happened to Marry Francis Reed. She and I graduated from Duquesne HS in “57. She also attended Penn State. Our 20th year reunion lists her married name as Hamilton and living at RD2 Fuller Road Norwich NY 13815. The 20th reunion was a long time ago and that’s the last I have. Growing up a “foreigner” from Wilmerding, Pa., I enjoy reading your blogs now probably as much as the locals do. I remember telling you that during my early years, my family used to visit my Mom’s Aunt Katie & Uncle Tom Lynch who lived on the right side of 2nd street going down to the main street of Duquesne. I always looked forward to spending a few days in the summer there by myself. There were five Lynch daughters. I remember Gertrude, Betty, Kathleen and Loretta and for the life of me, can’t remember the fifth one. I’ve lost touch with them since I went away to Indiana State Teachers College in Indiana, Pa. in 1958. I still have three sisters living in Monroeville, Churchill and North Versailles, and they have better memories than me. Keep at it Jim, and best wishes with your new company here in Ocean Pines. George, are you related to Helen Simcina of Hilltop Dairy fame??? Does anyone know Andy Davidovich from Duquesne … he should be about 64 years old now. We were kids together, he would visit us in McKeesport on the weekends, his grandmother lived across the street from us. He had a sister nicknamed “Sissy” — Last I heard Andy owned a couple horses that ran at the Meadows, circa 1968.